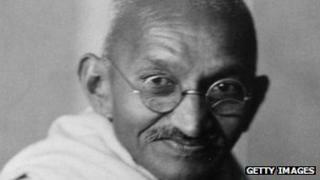 India has bought thousands of documents relating to Mahatma Gandhi in a private transaction ahead of a planned auction, said Sotheby's auctioneers. The government paid £700,000 ($1.1m), Sanjiv Mittal at the Ministry of Culture told Agence France-Presse. The archive belonged to Hermann Kallenbach, the Jewish bodybuilder, who became a close friend of Gandhi when he lived in South Africa. Officials say the collection will be put in Delhis' National Archive. In what is thought to be a rare move, the Indian government struck a private deal with Kallenbach's family. "It was felt that the letters are of importance to study the thoughts of Gandhi on various matters," Sanjiv Mittal told AFP. These will "fill up the gaps in our collection", added Mr Mittal. The collection was expected to fetch between £500,000-£700,000 ($777,000-$1.1m) at the sale. Most of the letters were written by family, friends and others, with very few written by Gandhi himself. They include several letters that could give a better understanding of the relationship between Mahatma Gandhi and Hermann Kallenbach. The two men met in 1904 in South Africa and their relationship was at the centre of a controversial book released last year. Great Soul: Mahatma Gandhi and His Struggle With India, written by Pulitzer Prize winning author Joseph Lelyveld, alluded to a very intimate relationship between the two men. But Mr Lelyveld denied all claims that he called Gandhi a racist or bisexual in the book. Many of the letters are written by Gandhi's sons, which give an insight into his life after he returned to India. Are the Gandhi-Kallenbach letters headed home?